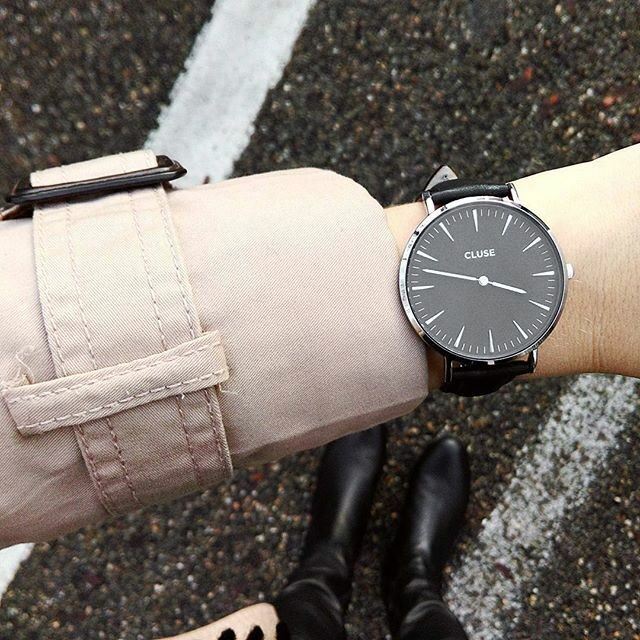 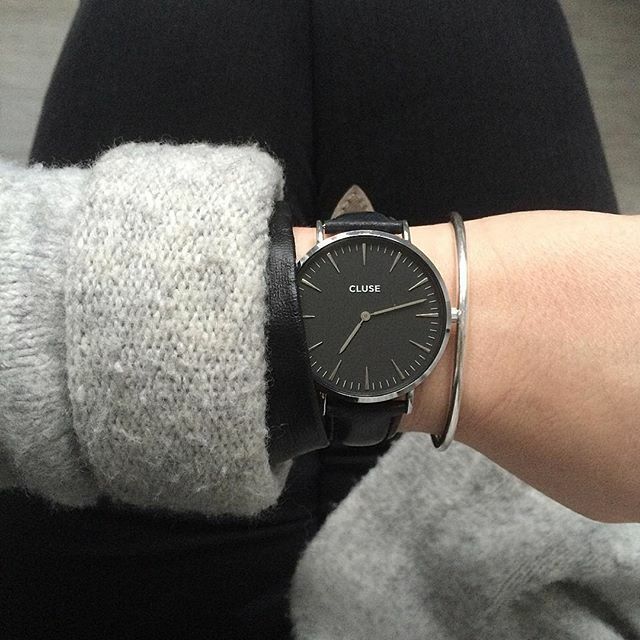 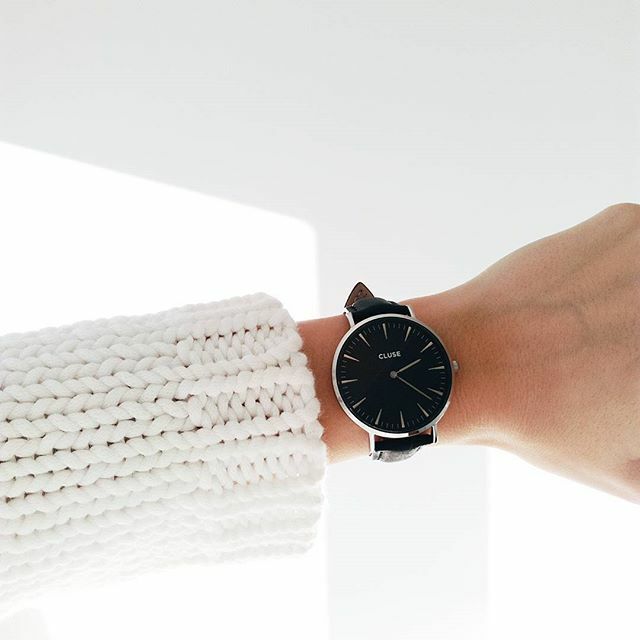 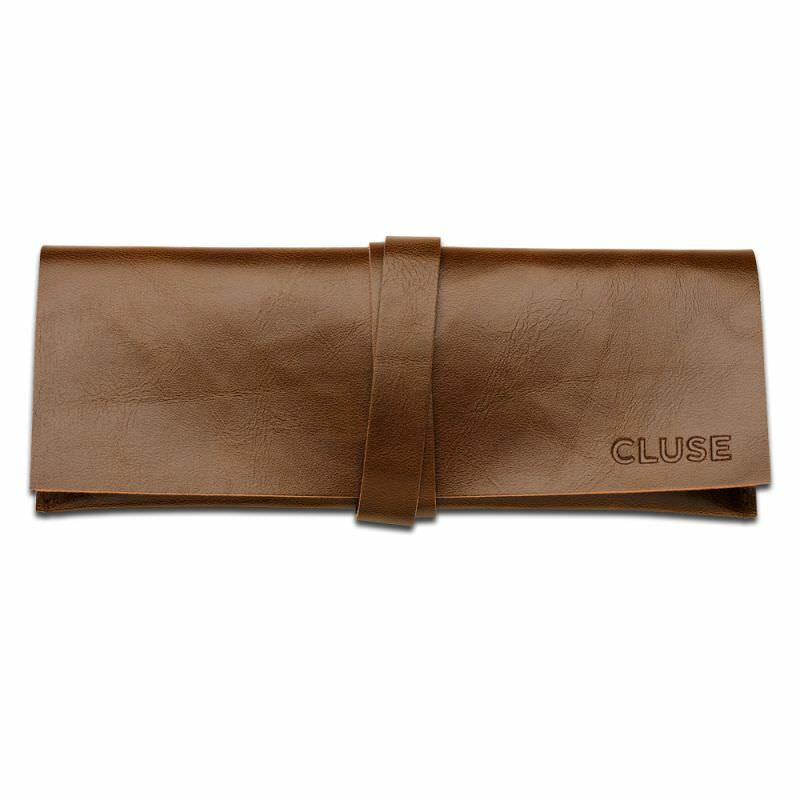 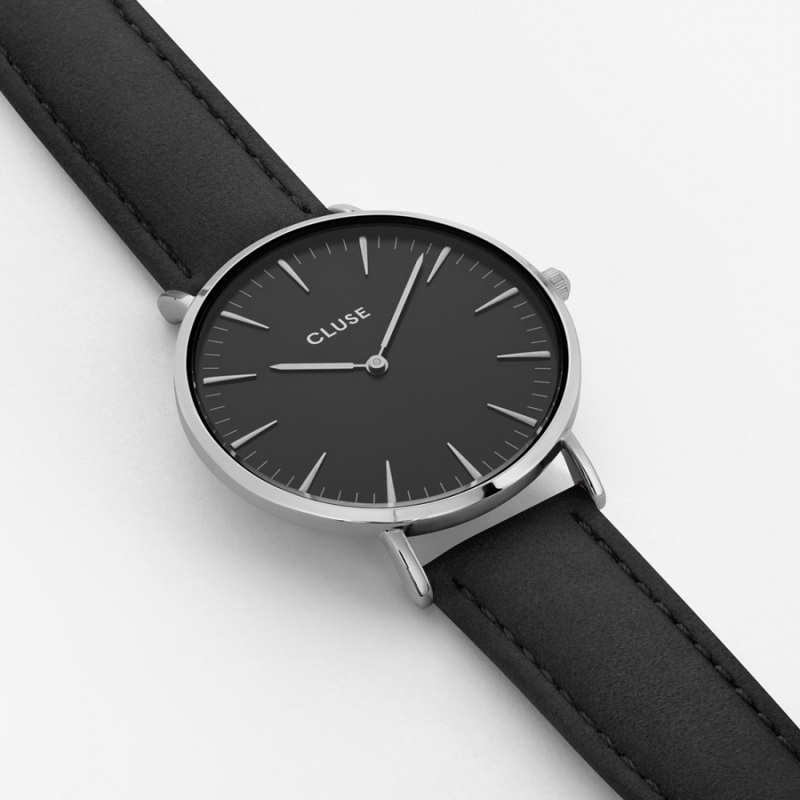 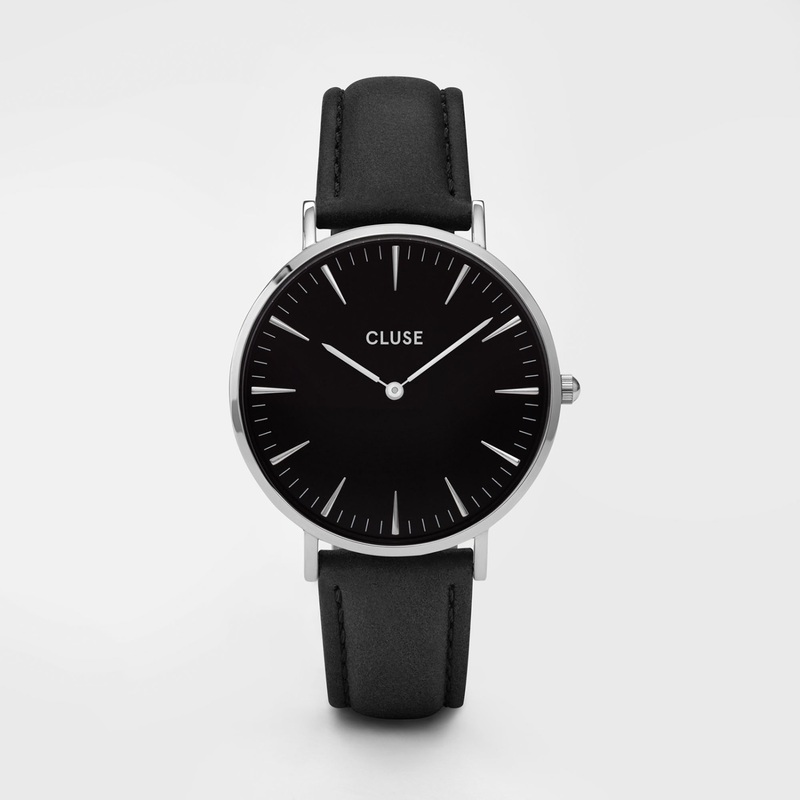 La Bohème Silver Black/Black is an elegant watch with sleek and simple design by Cluse. 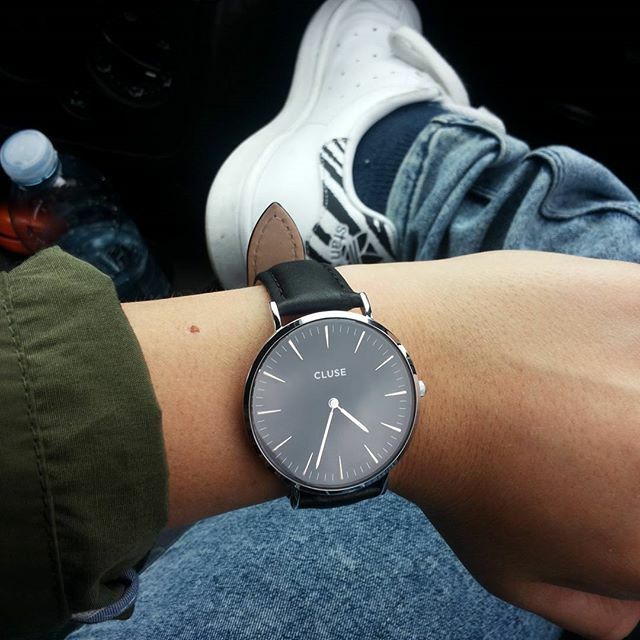 This timepiece features an ultra-thin silver case with a 38 mm diameter, crafted with precision for a sophisticated and elegant result. 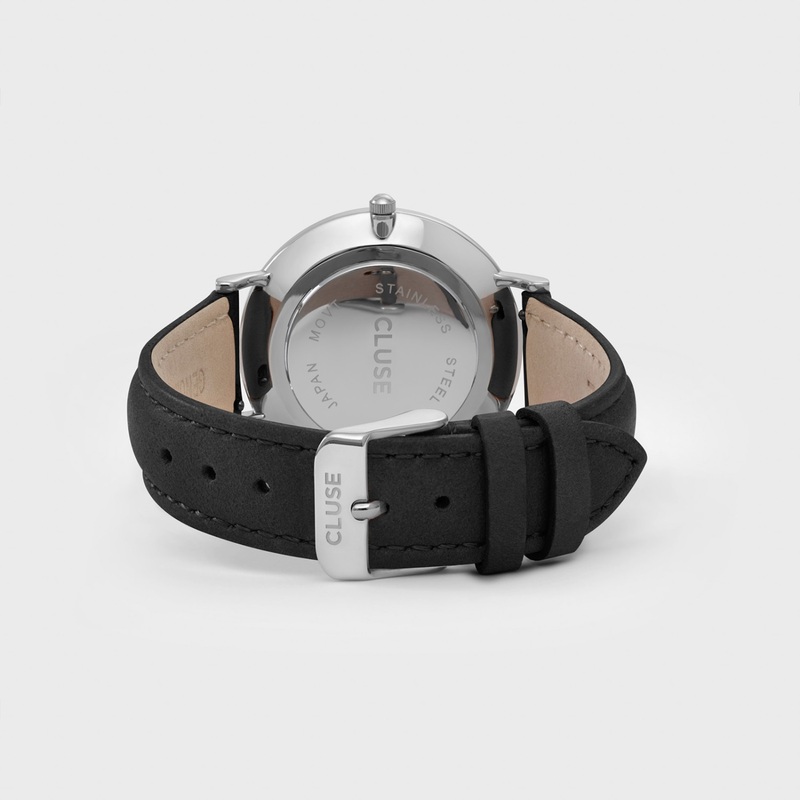 Black and silver are combined with a black leather strap, detailed with a silver clasp. 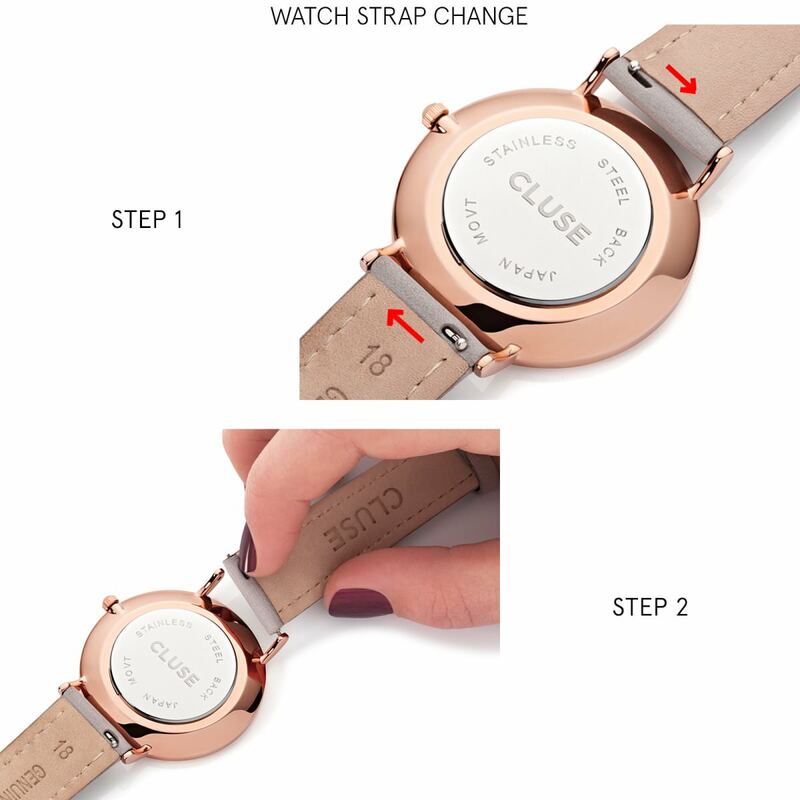 The strap can be easily interchanged, allowing you to personalize your watch. 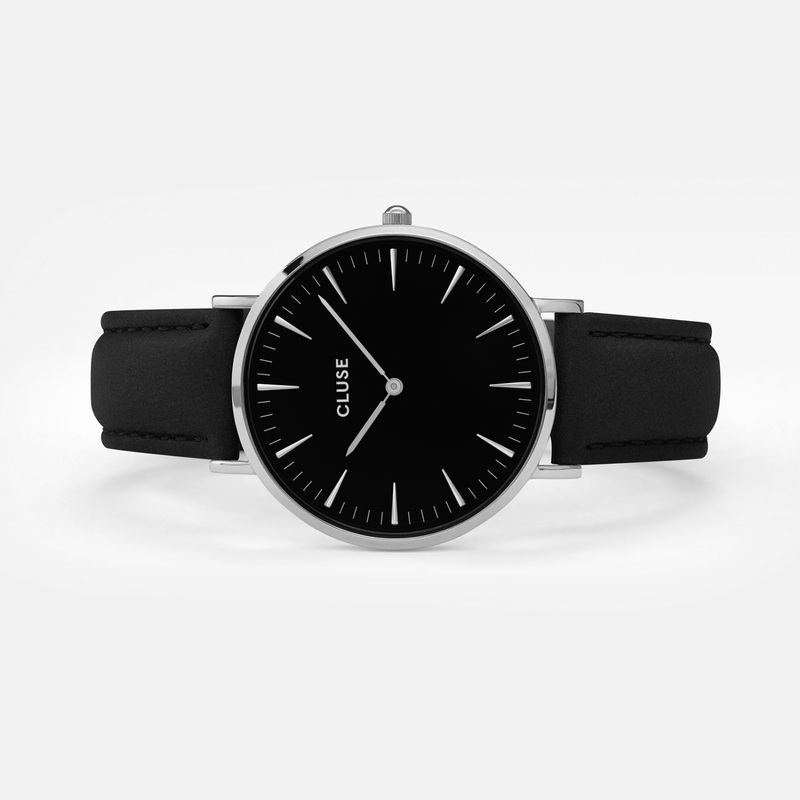 Color: Black strap, Black face, Silver case.